You see the headlines about immigrants and refugees daily, but what are their experiences really like? 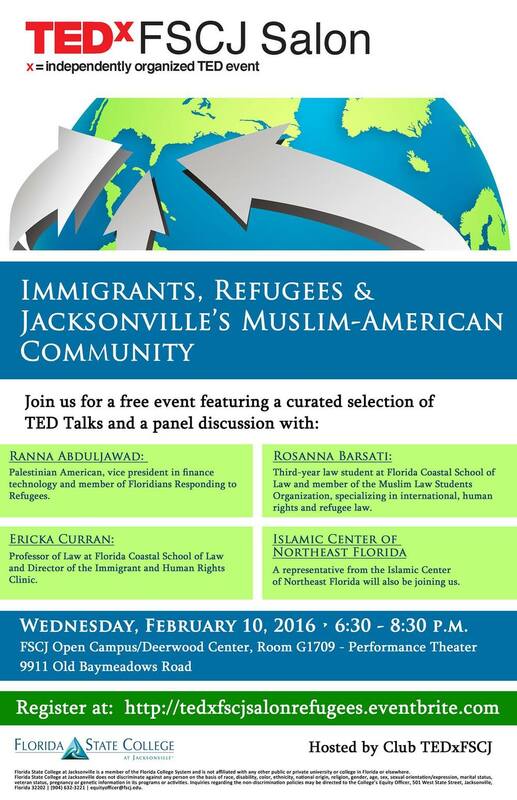 Join us for our first Salon of 2016 where we'll present a selection of TED Talks on the immigrant/refugee experience. TEDxFSCJ Salon Technology & Society explores how technology is being used to solve issues in our society. It is inspired in previous talk about technology and social issues and how businesses can help to solve global problems.